July 2018 Uganda Service Trip Recap Expanding a Partnership. Ending modern slavery through prevention, restoration, and education. 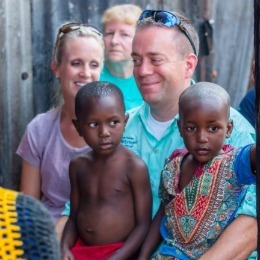 In July, a team of D. Gary Young, Young Living Foundation employees led a service trip to Uganda alongside dedicated Young Living members and Young Living CFO Lee Bowen and his wife, Tricia. The team was elated for the opportunity to visit and serve with our partners in Uganda, Sole Hope, Healing Faith Uganda, and African Hearts, but also had the opportunity to celebrate the monumental addition of our newest partner in Uganda: Hope for Justice Africa. Thousands of compassionate individuals helped us raise $1 million to end human trafficking at the 2018 International Grand Convention, a feat that allowed us to expand our impact alongside Hope for Justice in Africa to put an end to modern-day slavery. Hope for Justice understands that human trafficking is a multi-faceted issue plaguing the world today, and because it comes in many forms, the approach to putting an end to it requires more than providing aftercare for individuals after they’ve become victims. Rather than just giving money and handling one thing, this is a partner that is tackling the problem from many angles to eradicate the problem. 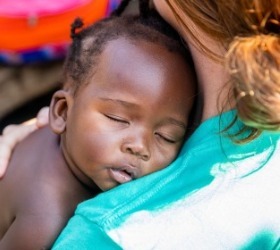 While Hope for Justice Africa rescues, restores, and reintegrates victims of human trafficking, they also provide preventative programs and education, aiming to stop trafficking before its vicious cycle has the opportunity to claim another victim. To understand the importance of these preventative measures, the team ventured into the slums to see Hope for Justice Africa at work. These three stories are a testament to the amazing work this organization is doing and touched the lives of all who were there to listen and learn. 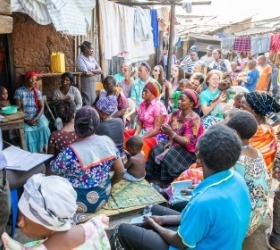 First, the group convened in a small hut in the slums, joining 12 girls, ages 12-19, as they gathered for class. Here, these young women learned valuable lessons on how they can protect themselves, and their friends, from becoming embroiled in human trafficking. They learned about boundaries and what it means to give or deny consent, learning that they get to decide what they are ok with as they have the right to be in control of their own bodies. The girls also learned that in a time of need or sadness, that they can lean on each other for support and love as there is strength in numbers and good friendships. In addition to learning how to support one another, they received education on how to spot the signs of a friend in need just in case that friend may be too afraid to ask for help. The girls were taught how to bring their concerns to a trusted authoritative figure and how this critical step can prevent someone from becoming trapped in a situation they cannot free themselves from. Next, the team visited a man who had a stand where he sells handcrafted shoes. He grew up on the streets of the slums, fighting for survival with his family. As a child, he was rescued by the Hope for Justice Africa team and was offered an education and learned the valuable trade of cobbling. As a shoemaker, he can sell his goods to others and in doing so financially assists his mother and can afford a proper education for his siblings who can attend school. Aside from supporting his own family, he is also training an apprentice so that this young man may provide for his family as well. The financial independence that both men are gaining makes their families less susceptible to human trafficking, as they are unlikely to fall for the false promises of traffickers who prey on families whose financial hardships make them vulnerable. A harsh reality plaguing women across the world is that it is notoriously more difficult for a woman to obtain access to credit or loans than it is for a man. Because of this, it is especially tough for impoverished women to escape financial hardships and provide for their families. Financial hardships at home tend to create vulnerability, where traffickers can swoop in and suggest that mothers send their children off to work and earn money for the family, or where children feel pressured to seek better living conditions elsewhere. “They provide a locale where girls and boys don’t have to leave their homes,” explains Lee. 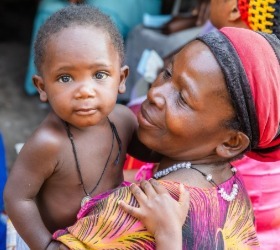 To prevent this vulnerability, Hope for Justice Africa has created a women’s co-op in the slums which supports mothers as they start and grow their own businesses to create financial stability and a positive home environment. These women work together to earn money, and they bring their pocket books to the meetings and put their funds in a box which is used to support other mothers as they grow their businesses. I wanted to put all of the money I had in that box, but the Hope for Justice team wouldn’t let me. They are empowering mothers to be self-sufficient and the women have great pride in this self-sufficiency which instills confidence in the children they raise. One woman was empowered to pursue her dream of owning a purse-making business. She is now learning how to build and scale a successful and sustainable business so that she and her family can live their best lives. Every penny from every donation to the Foundation continues to empower individuals and communities across the world, implementing programs like these to the underserved. To be a part of the movement to end human trafficking in this generation, please learn more and donate today!